The Queen of Hungary’s water was the 'original' perfume, formulated in Europe at the command of Queen Elizabeth of Hungary. Legend has it that the water was ‘created’ as a beauty treatment which was so successful that it led the king (aged just 25 years) to propose marriage when she was nearing the end of her life… (sounds good to us)! Adored for its reviving, purifying and toning goodness, this Cult classic is a permanent fixture in every discerning beauty buff's kit. Omorovicza revived a 14th Century beauty recipe, originally devised for Queen Elizabeth of Hungary, to create this purifying, toning and protective facial mist – adored for its phenomenal rejuvenating properties. Starring Hungary’s mineral-rich thermal waters (the earth’s crust is thinner there, which is why the waters are jam-packed with skin-beneficial elements), this mist delivers these precious waters’ magical, healing properties to your skin’s lowest levels, where the minerals kick-start repair and stimulate regeneration. In 30, 50 or 100ml sizes, you can have one at home and take one on travels – just mist skin mid-flight, pre make up or when facing the 4pm slump to maintain moisture levels and keep your complexion contented. Spray at any time on face, body and hair. Hold bottle at least 6 inches away and keep out of eyes. The mist does not contain alcohol. Aqua (Hungarian Thermal Water), Rosa Damascena Flower Water, Citrus Aurantium Dulcis (Orange) Flower Water, Salvia Officinalis (Sage) Leaf Water, Polysorbate 20, Phenoxyethanol, Glycerin, Pyrus Malus (Apple) Fruit Extract, Pectin, Chlorella Vulgaris/Lupinus Albus Protein Ferment, Malpighia Punicifolia (Acerola) Fruit Extract, Ethylhexylglycerin, Mannitol, Yeast Extract. Lovely smelling product, nice handy bottle not quite sure how effective it is but perhaps would be more beneficial with regular use. Definitely one for the desk for the summer time. I like to layer this between serums and oils and to make my face less matte after I powder. I don't think it really does much to hydrate properly, but it certainly smells nice and the spray is a lovely mist. I’m not one to complain about strong fragrances as they don’t usually seem to bother me, but something about this one does. It makes me feel a bit sick, although it may just be a certain smell I don’t like? Anyway, the actual quality of the spray is very nice, the bottle is beautiful, however it’s a very fine mist and it’s hard to determine whether it’s effective or not because it feels so light on the skin and doesn’t seem to do much. It’s nice for a little spritz over your makeup because it’s not too harsh and won’t disrupt it. I expected so much from this, however it did absolutely nothing for me. I have cheaper face mists that add so much more moisture, this just felt like spraying water on my face - lovely smelling water, but nothing else. I love everything about this mist like it's made just for my skin and my taste!! Smells so good, very very refreshing and hydrates perfectly. The pump is perfect, you can spray whole face or just some parts, very fine mist, it doesn't end on my hair or bathroom walls like some other mists. We all understood that this water smells good but apart from that I don't see any particular effects in hydration or soothing. There are much better products out there at this price and even lower. 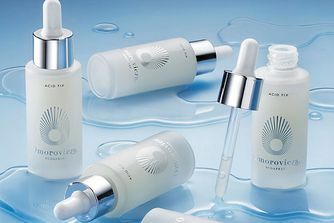 Sadly, as fancy as the glass bottle for Omorovicza looks, I can’t see any results at all from the products. I have this and the Omoressence. I like the smell but I see no benefit from them. The mist feels nice for a few seconds and then leaves my face feeling dry. The essence is the least effective of any I’ve tried. I bought this mist based on the many positive reviews I'd read but was deeply disappointed. The smell is absolutely obnoxious! It is hard to describe but not something you would expect and if you're sensitive to scented products...this may not be for you. I can say it am obsessed with this fine indulgent mist. I bought it as an impulse and it's been my best item. The mist is so fine and sprays like a dream. I use it every day religiously and it's lasted me a good few months. Has helped with my sensitive skin and I even use it after laser for that healing feeling. Will be repurchasing for sure as soon as this bottles finished. Is it a need to have? No! Nice to have? Absolutely! The smell is amazing, the smell of oranges is beautiful and I find it a good way to layer hydration to help my dehydrated skin. I received this in the winter 2016 Cult Beauty box. I was quite excited at first because I have consistently been underwhelmed by mists and I figured I couldn't go wrong with one recommended by CH herself. I was pleased to find the pump to be worthy of the luxury price tag - I don't know if I have a single other spray bottle capable of delivering such an ultra-fine mist. It's actually so fine that I have had to readjust the application to how it feels compared to a standard mister. The scent is pleasant, but mild-perfect for someone like me who prefers to keep the fragrance out of my skincare. A far as results from using are concerned, this is where I feel my inability to be thrilled with mists comes into play. If used after serums and immediately before my moisturizer, I find this to add a nice bit of hydration. 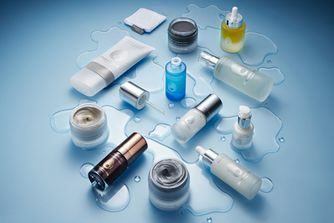 Nothing that I can't get from layering essences and serums, unfortunately. As a refresher, I can't say that I enjoy this at all. As with most water based mists, this provides short term gratification, feeling lovely and soothing upon initial application. 30 minutes later, I find it has evaporated off and sometimes dried my skin out further. I do believe that if you are somebody who really loves a good mist, you will probably love this product. It might even be worth buying and using just to have the luxury mister that you can decant your favourite alternative mist into. Sadly, I have come to the conclusion that mists will never be a "must-have" product for me, and thus not something I'm interested in repurchasing. Doesn't smell of much so you don't get the instant delight on spraying, like with the May Lindstrom spritz which I vastly prefer. The liquid is watery (doesn't seem to leave any moisturising layer or anything else), it just seems to evaporate. For me it's like a quick spritz of Evian spray water. I didn't really get it. Lovely very faint smell at doesn't linger preps well for a serum or oil. The pump is weird, it mists in a very slow way which is nice but the spray is very narrow so I end up doing some places several times yo get all over. I will repurcashe but I might choose to decant to my preferred spray bottle. My favourite mist of all time! I absolutely adore this mist for my combination/rosacea skin. It hydrates, plumps and soothes my skin. I will never stop repurchasing this! I'll be honest, I thought this was going to be some kind of deliciously perfumed treat. But it did nothing for me at all. It's just...mildly scented (very mild) water as far as I can tell. Did nothing much for me as skin care, comfort or therapeutically and at that price? Wow. All the effects claimed for it you can achieve with a pennies bottle of rosewater :( lovely bottle though! If you like mists this is a brilliant one, smells like roses and has that expensive spa scent that is both nice and relaxing. It feels nice on the skin and I just love it. But, if you are not a fan of mists or you think this kind of products are really not necessary, then this will not impress you much. I like it, my skin is always dry and needs some TLC every few hours, this helps a lot. I was obsessed with this at first but after a while I stopped seeing any results or progress with the way my skin looked. Nice refreshing mist for the summer but didn't get much use of it in the winter. The bottle looks nice on display but it's an ornament hardly worth almost 50 quid. My curiosity was satisfied but I see no point in repurchasing this rose water (basically). I couldn't really see what this product did or any real benefits especially for the price. I've used much better toners and refreshers. First I thought this does nothing to my skin, but after a while I could really see why it's so hyped. The skin looks refreshed and dewy, feels hydrated. I store it in the fridge which gives it an extra fresh kick. What can I say? Simply THE best in the market. It smells heavenly, not the usual rosy fruity sweet smell, which makes it stand out from other typical toners. I use it after cleanse and also as a mid-day freshen up spray.There's a gradual brightening of my skin with more use. My skin is more even toned now and I think my pores are a little less visible. On my 2nd bottle already and definitely ordering more backups. Expensive but worth every penny. Can't imagine using any other toners/facial sprays anymore. I've gone through the bottle, and didn't notice much of an effect on my skin. A bit too heavily scented for my taste, but very fine mist. I got this part of my Jamie Genevieve box. I don’t really see the point in this. It feels nice after cleansing my face but doesn’t seem to do anything for my skin. I have a combination skin type. This product couldn’t moisturise well my checks (but for setting make-up is ok). I received this as part of the 10th birthday goody bag. The packaging is stunning, it smells heavenly and dispenses beautifully. However, it made no difference to my skin whatsoever, which is a disappointment considering the price. Like some of the reviews said, it’s basically just scented water. I received this in Cult Beauty's 10th Birthday goodie bag and it is now one of my firm favourites for skin care. The smell is heavenly, it is so refreshing and the best mist I've used! Will be re-purchasing again and again. I use it twice daily usually and you wouldn't believe it had been used, this will last forever. Nothing more than lovely-smelling water. A lovely mist which feels refreshing when sprayed onto the face. I like the smell, which is strong but spa-like. However, I see no way in which this mist could ever actively solve any skincare issues. It feels nice, it smells nice, but in the end, it is scented water. Used it for a few weeks, and have a bottle saved just for the niceness of using it, but don't expect it to do much for you. If I'm totally honest, I've always been a little sceptical about mists – until I came across this frankly sublime bottle. Not only does it refresh my skin every time I use it, it boosts my hydration levels and has definitely improved my complexion over time. The more I use it, the better my skin gets. Luxurious, chic and (most importantly!) effective, this is a definitive Cult classic in my book. I bought the small size to try it out and I will definitely buy the big one. To me it smells great, it instantly makes me happy and I also love the fine mist. The frosted glass bottle is also very classy. Most importantly it makes my skin feel good. Hydrated and glowy. I like it and would recommend it. I love Omorovicza and this is a luxurious mist, but: 1. you have to love the scent because it's very strong, peculiar and persistent; 2. for me it is not comparable to Caudalie's Eau de beauté, which I keep using since I discovered it. So in the end, I will not repurchase it. The scent of this spray is so addictive it's unreal!! And the spray nozzle is the best ever!! It delivers such an even mist that your make up is never ruined by droplets or anything. I use this for all sorts, I have a 30ml bottle for on flights, I use on hot days, before bed, after sleeping, hey even after a cup of tea, it's a little expensive this brand but any product I've used have always delivered! Would certainly recommend! Very fine (almost steam like) mist. 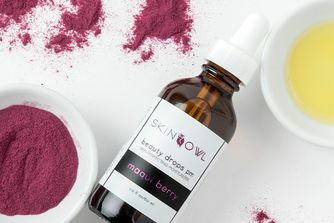 Great for a moisture pick me up during the day but also for setting makeup - give a really natural finish to products on the skin. Light scent of orange water. Really wonderful to use after a deep cleansing or mud mask. OMG - gorgeous! I've found "the one"
I just submitted a review for this from my phone and accidentally pressed four stars, when this is very much a FIVE-STAR product. I had to re-submit my review, as this product deserves the full five stars. I am obsessed with facial-hydrating mists and have tried a myriad products. Until I came to this mist, I would use a brand, move on to the next one to test. I hadn't found one that I was happy to make a full-time fixture. This Omorovicza Queen of Hungary mist is absolutely and utterly divine. This mist feels so fine - like gossamer silk on the skin. It is so hydrating and feels utterly wonderful. It feels so delicate on the skin. I love that the mist is so incredibly fine. I love Omorovicza and have never been disappointed with any of the products. It's such a wonderful skincare line. I love this mist and find myself reaching for it throughout the day. It has a subtle fragrance - I don't like anything too over-powering. This is just perfect. Highly recommend. No need for me to move on to the next face mist - I've found "the one" and this is here to stay as part of my skincare. I have the large size at home - in my fridge to keep it chilled. And the travel size in my handbag. Love it. I'm a sucker for Omorovicza products and this mist was my first purchase from the brand. I've tried so many mists from various brands, but this is the only one that got me hooked. To date, I'm on my 3rd bottle and I just love how fine the mist is. I use it in between products applications (after toner, after sheet mask & after applying creams) & to refresh my skin whenever necessary. Smells heavenly & I'm now a fan. I don't think I'll find any other mist as good as this. I can see why some people may see this as an overpriced mist, However this is one of the finest, most luxurious mists on the market. Little product is distributed through the 'magical nozzle' meaning that this actually lasts for a very long time!!! Which I feel justifies the high price tag, a little. Though it smells calming, feels refreshing and leaves the skin feeling soothed, soft and refreshed; That's all that it does for my skin. Is it a necessity for me? No, but it's a luxury product that I thoroughly enjoy. Especially when my skin is acting up, dry or flaky - making this my go-to face mist in the winter months. How can I not be impressed? I did not notice how good this product is until one night when I was feeling lazy and went to bed without any moisturiser, just this mist alone. Next day, my skin feels hydrated, soft to touch and supple. I used this behind my knees, it seems to calm the rashes and soften the skin. I wanted to love this so bad! It smells good an the bottle looks sooo pretty, but the mister nozzle is just not fine enough and I see much better results with other toning mists! This was a non essential treat to myself. It is very very pricey, not especially effective and quite poor value for money. It could also be slightly irritating to sensitive skin. There really are a ton more effective and cheaper toners out there. It is like that extra handbag or scarf or nail varnish that didn't live up to its purpose or expectations but you are still glad to have them anyway. Despite discovering the above, I am still thrilled to have it. I enjoy using it on my face and body spray. I love the packaging- the pump spray is really fine (I know thats only €2 max for a good pump). But I love the glass bottle- I'll be keeping it for other toners to 'live in'. I love to use this when I don't feel like a skin softener or an acid toner or Im too lazy to use cotton pads to apply a toner!! The fragrance is mildly reminiscent of 4711 but with more neroli and less citrus. THIS PRODUCT IS PHENOMENAL! Seriously, believe me when I say I've tried a lot of the toners on the market. This one is by far the best. Without bringing up the name of other toners, just take a look at the ingredients in this one and compare with other brands toners - you'll understand. The scent is gorgeous and the hydration it gives is simply wonderful! I usually use it after I've cleansed my skin, but i also use it every now and then to set my make up, or just during the day for a skin pick me up.